1. 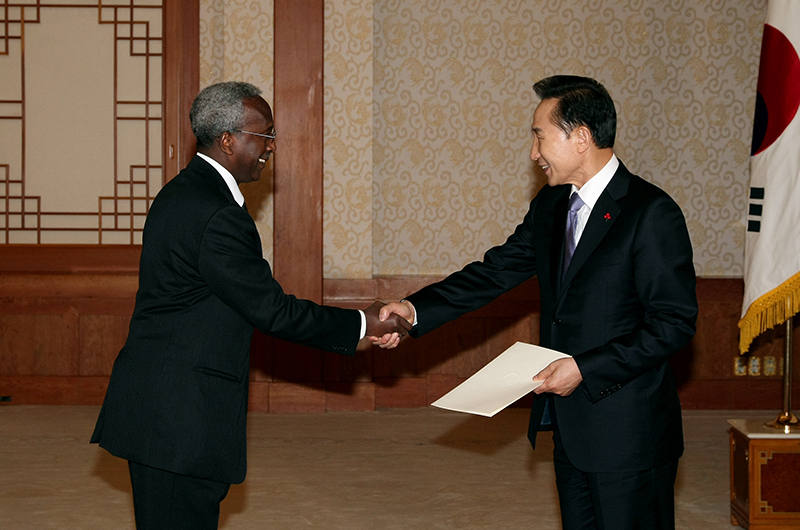 On the 23th of April 2009, H.E. 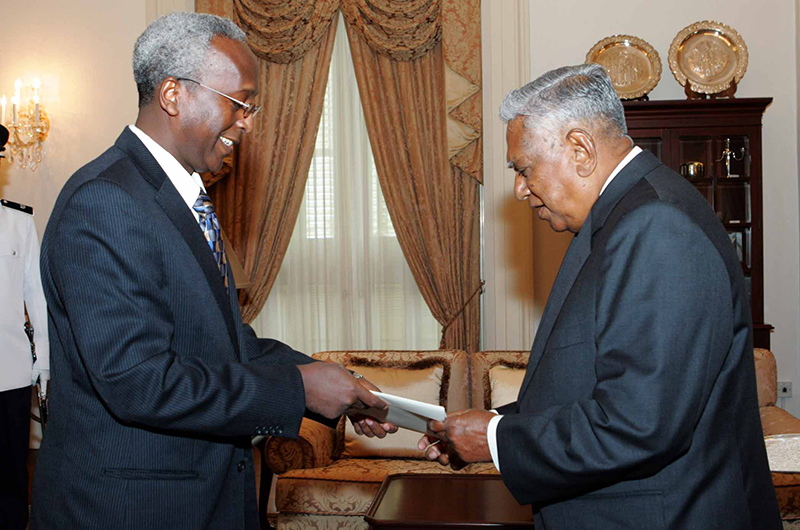 Mr. Ahmed Araita Ali, Ambassador Extraordinary and Plenipotentiary of the Republic of Djibouti non-resident to Australia presented the Letters of Credence to Governor-General The Honorable Mrs. Quentin Alice Louise Bryce. 2. 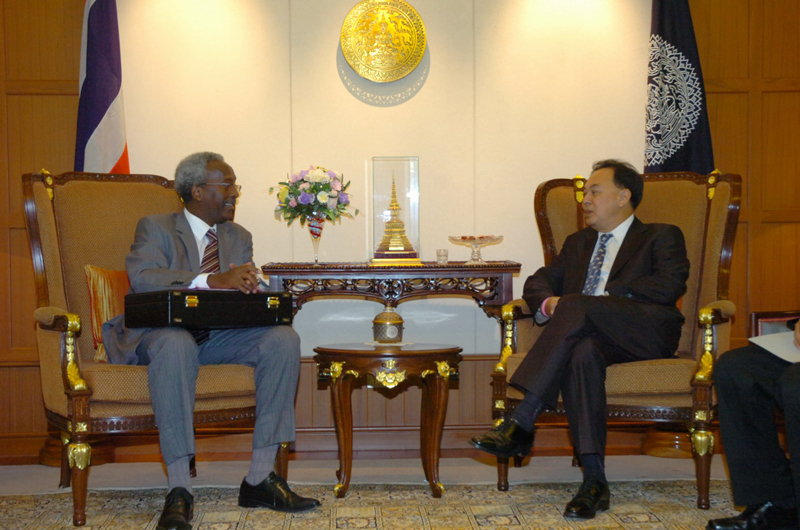 Meeting between H.E. 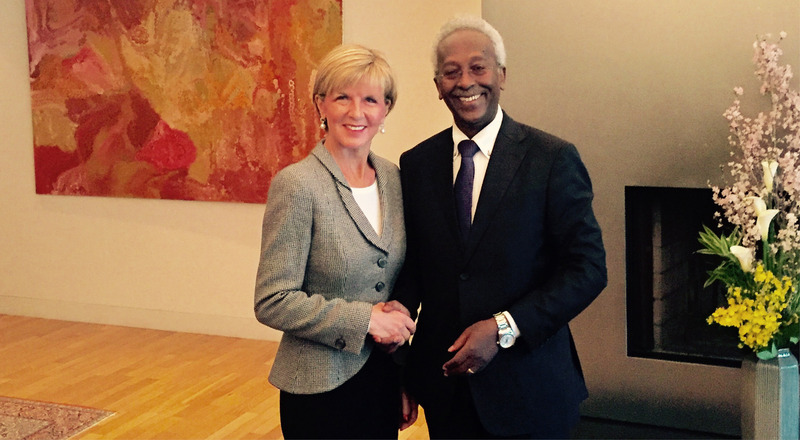 Ms. Julie Bishop Australian Minister for Foreign Affairs and H.E. 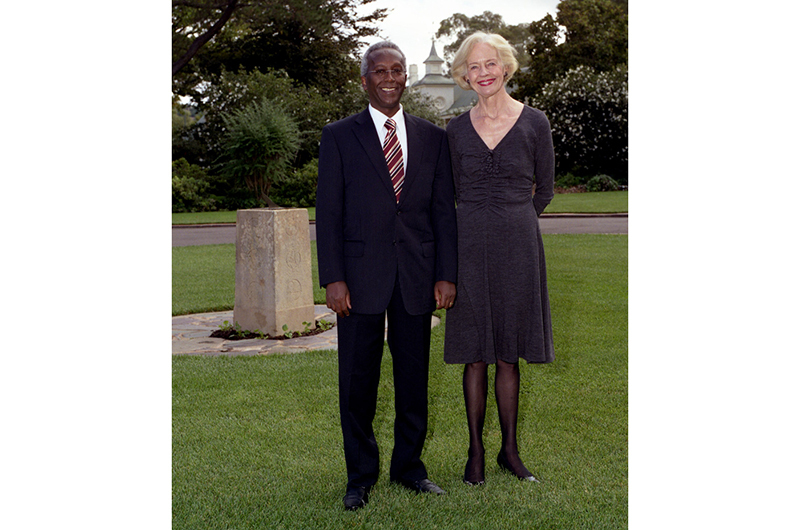 Mr. Ahmed Araita Ali, Ambassador of the Republic of Djibouti non-resident to Australia at the residence of the Australia Ambassador on 15th February 2016. The Ambassador Ahmed Araïta Ali presented on 11th April, 2018, to Mrs. 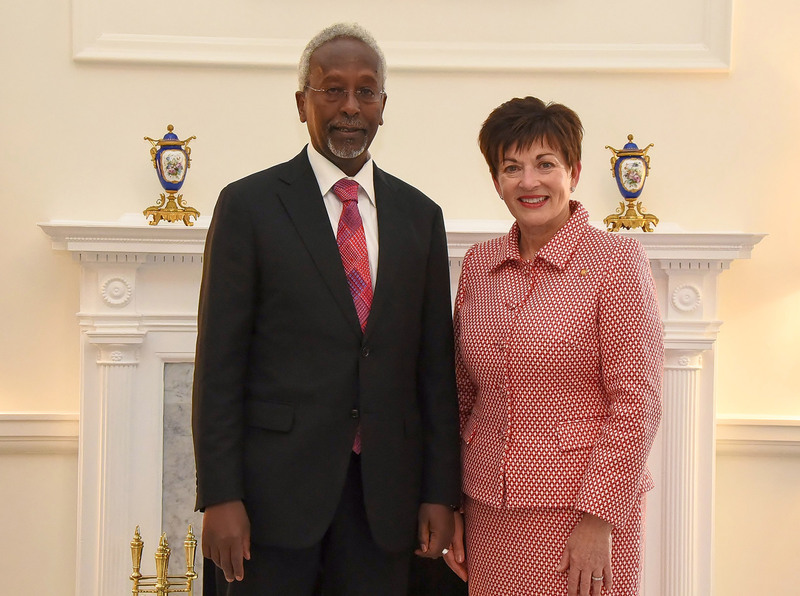 Patsy Reddy, the General Governor of New Zealand, the letters of credence by which the President of the Republic of Djibouti, His Excellency Mr. Ismaïl Omar Guelleh, accredits him as Extraordinary and Plenipotentiary Ambassador of the Republic of Djibouti in New Zealand, with residence in Tokyo. On this occasion, Ambassador Ahmed Araïta Ali emphasized on the necessity to reinforce the bilateral relationship through commercial and cultural negotiations, displaying the stability of the Republic of Djibouti, its potential of growth as well as its strategic location and infrastructures to access the African market. The Ambassador reminded us that Djibouti has a high geothermal potential and, in accordance with the vision of the President of the Republic Mr. Ismaïl Omar Guelleh, Djibouti aims to become a country relying 100% on green energy in the next few years. 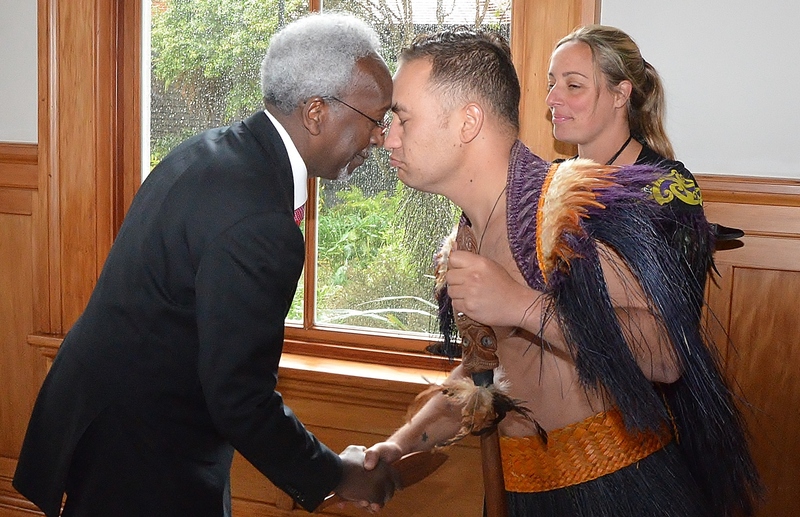 The Ambassador also insisted on the intention of Djibouti to develop its geothermal sources and its wind-power energy through its partnership between New Zealand and the African Union. During his visit, the Ambassador has met with Mr. Stuart Horne, New Zealand’s General Director of the African and Middle-East Division of the Ministry of Foreign Affairs and Trade, in presence of the Political Advisor Mrs. Sarah Agnew. The talks have been quite fruitful and the discussions were about the cooperation in the sectors of renewable energies (geothermal and wind-power), education’s scholarships and breeding farm. The Ambassador has met with the business community in Auckland and presented the investments opportunities in Djibouti. On the 16th of December 2008, H.E. 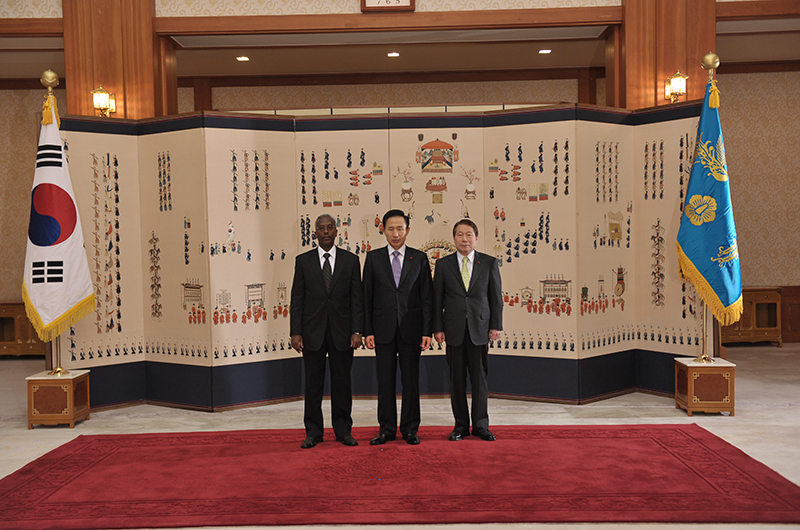 Mr. Ahmed Araita Ali, Ambassador Extraordinary and Plenipotentiary of the Republic of Djibouti non-resident to South Korea presented the Letters of Credence to President H.E. Mr. Lee Myung-bak. 1. 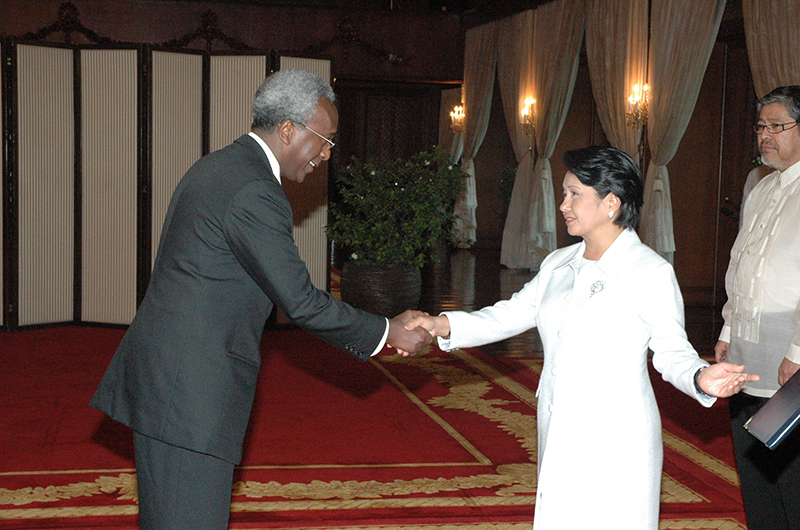 On the 19th of June 2009, H.E. 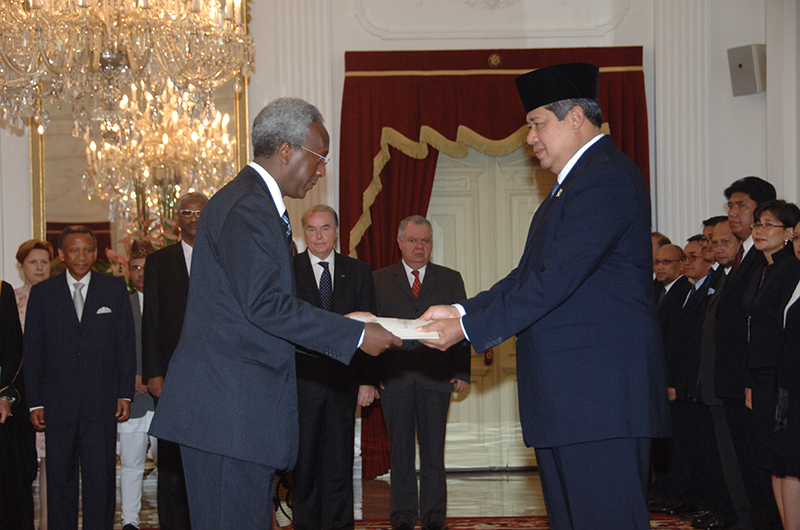 Mr. Ahmed Araita Ali, Ambassador Extraordinary and Plenipotentiary of the Republic of Djibouti non-resident to Indonesia presented the Letters of Credence to President H.E. Mr. Susilo Bambang Yudhoyono. 2. H.E. 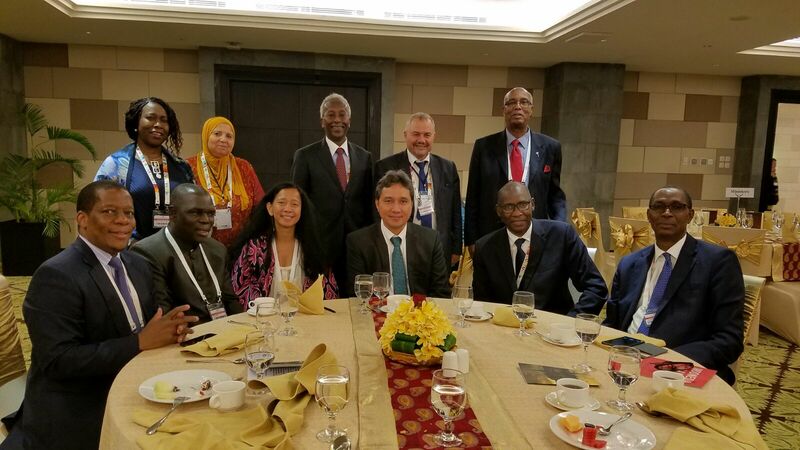 Mr. Ahmed Ali Araita, the Ambassador Extraordinary and Plenipotentiary of the Republic of Djibouti non-resident to Indonesia, with the Director General of the Indonesian Ministry of Foreign Affairs, with African Ambassadors residing in Japan, during his participation at the World Culture Forum held in Bali, Indonesia, 10 through 14 of October, 2016. 1. 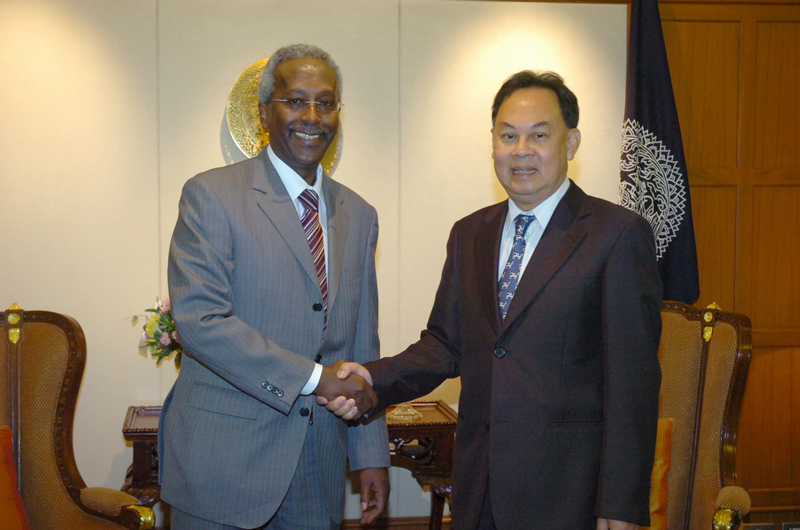 On the 20th of May 2008, H.E. 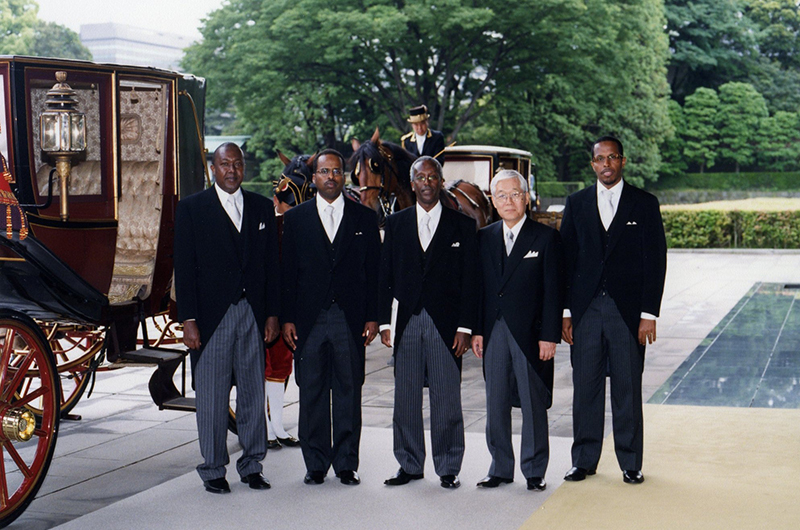 Mr. Ahmed Araita Ali, Ambassador Extraordinary and Plenipotentiary of the Republic of Djibouti to Japan presented the Letters of Credence to His Majesty Emperor Akihito. 2. Japanese Defense Minister H.E. 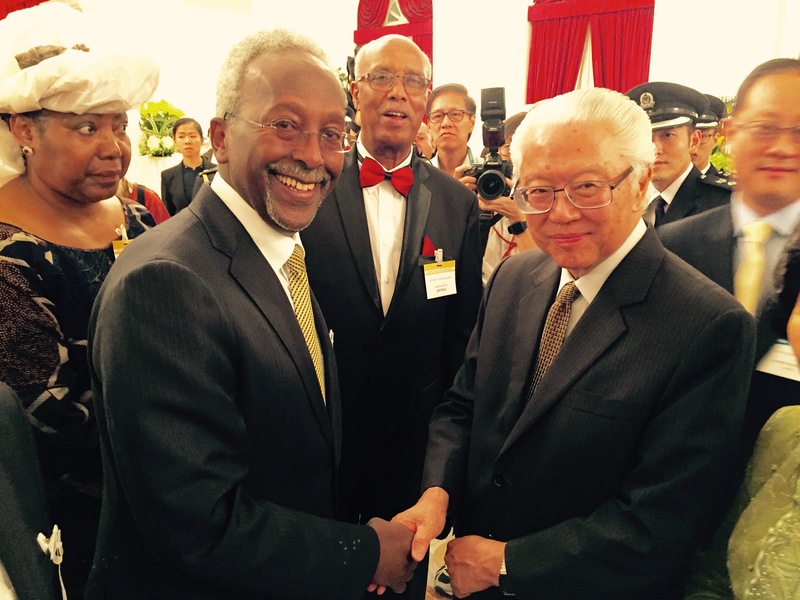 Mr. Gen NAKATANI and H.E. Mr. 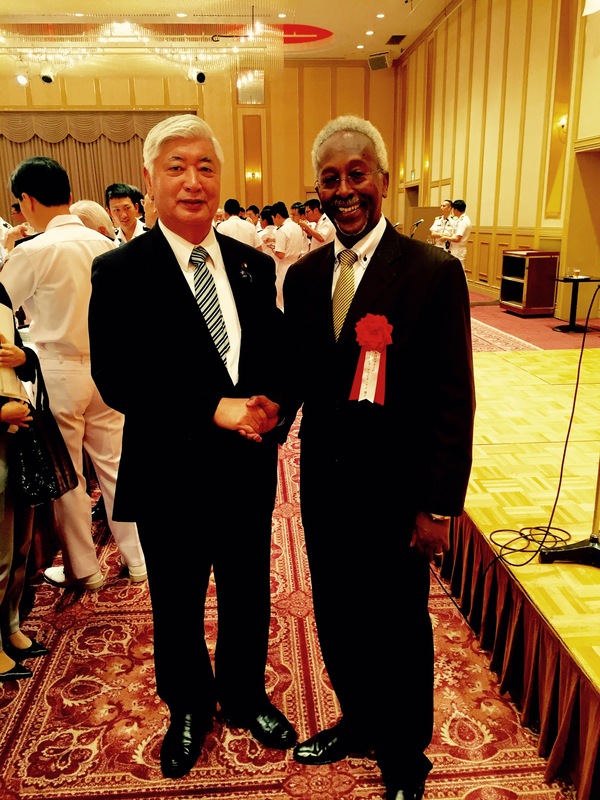 Ambassador Ahmed Araita Ali at a reception organized on the occasion of the departure of three training vessels of the annual training squadron of Japan Maritime Self-defense Force (JMSDF). On the 10th of September 2009, H.E. 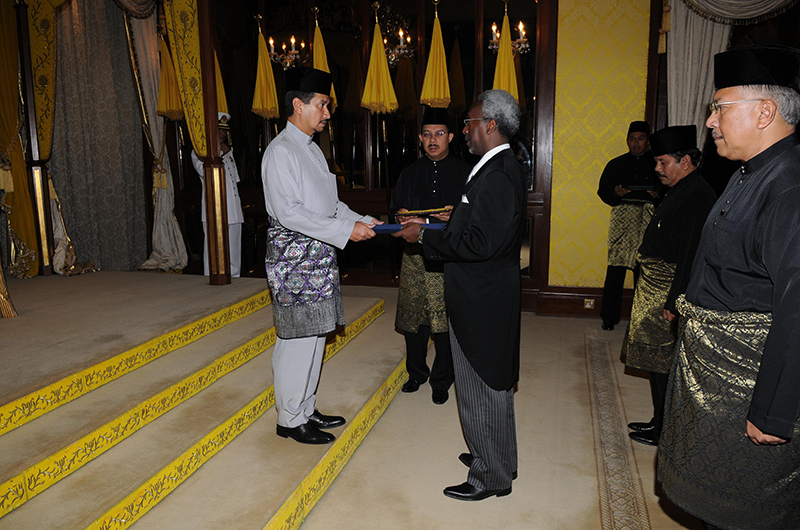 Mr. Ahmed Araita Ali, Ambassador Extraordinary and Plenipotentiary of the Republic of Djibouti non-resident to Malaysia presented the Letters of Credence to His Majesty the 13th Yang di-Pertuan Agong of Malaysia, Sultan Tuanku Mizan Zainal of Terengganu. 1.On the 15th of January 2009, H.E. 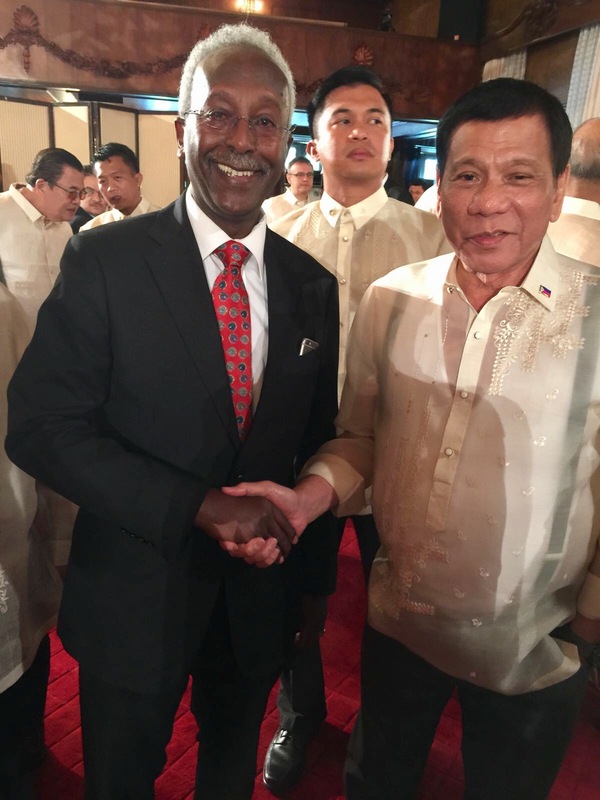 Mr. Ahmed Araita Ali, Ambassador Extraordinary and Plenipotentiary of the Republic of Djibouti non-resident to Philippines presented the Letters of Credence to President H.E. Mrs. Gloria Macapagal-Arroyo. 2. On 11 January 2017, H.E. Mr. Ahmed Araita Ali, Ambassador of the Republic of Djibouti held a courtesy meeting with H.E. Mr. Rodrigo Duterte, President of the Republic of the Philippines. 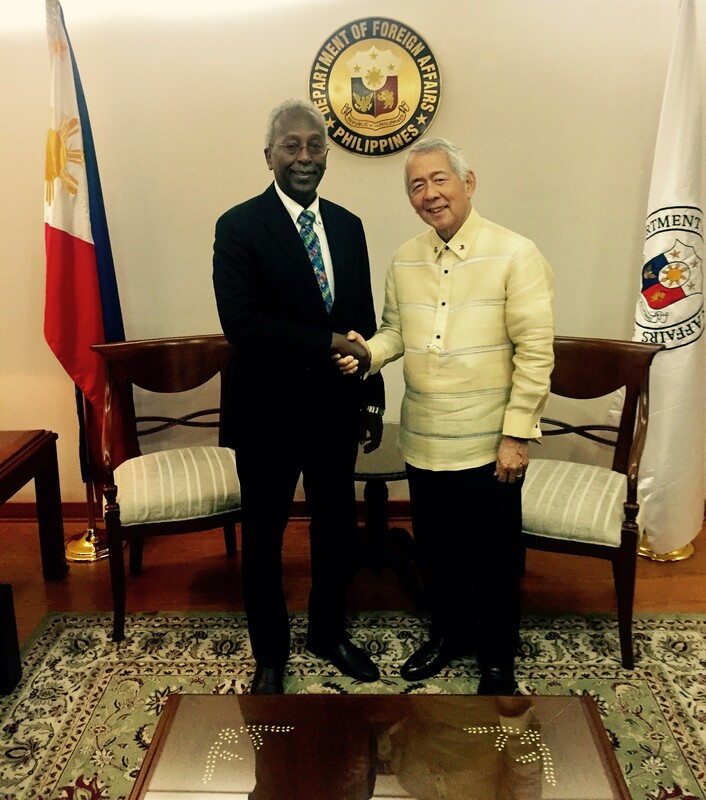 The Ambassador Ahmed Araita Ali conveyed to him the wishes of H.E. Mr. Ismail Omar Guelleh, President of the Republic of Djibouti. 3. H.E. 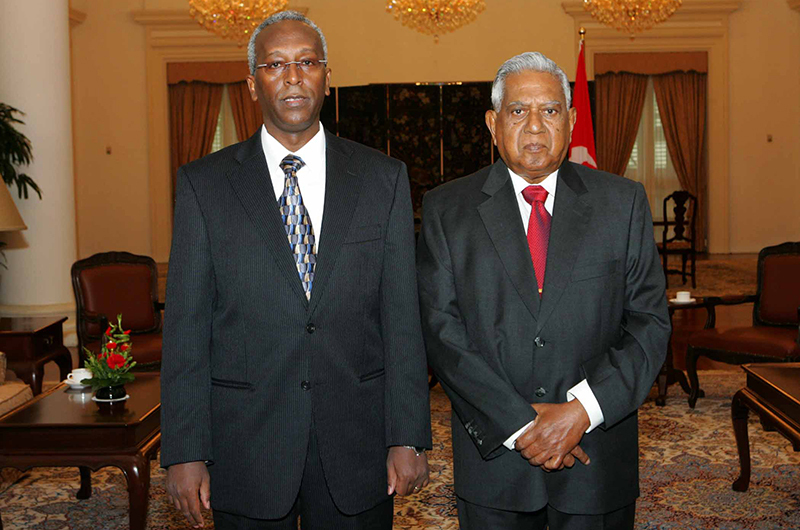 Mr. Ahmed Araita Ali, Ambassador of the Republic of Djibouti and H.E. 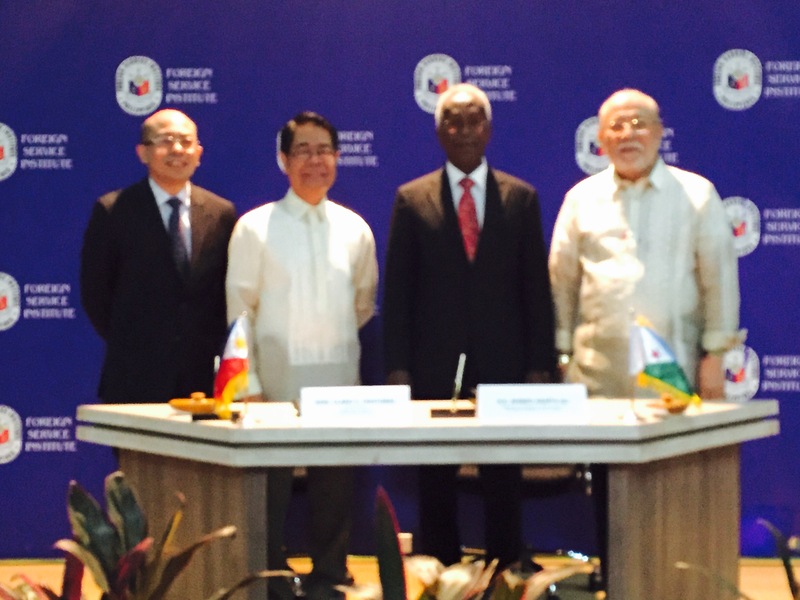 Mr. Perfecto R. Yasay, JR, Secretary of Foreign Affairs of the Republic of the Philippines signed a Memorandum of Understanding on Bilateral Consultations. The possibility of an exchange of expertise and capacity building in the services of the Coast Guard, Education and Health was discussed. Also the possibility of collaboration between the air carriers of the two countries. 4. H.E. 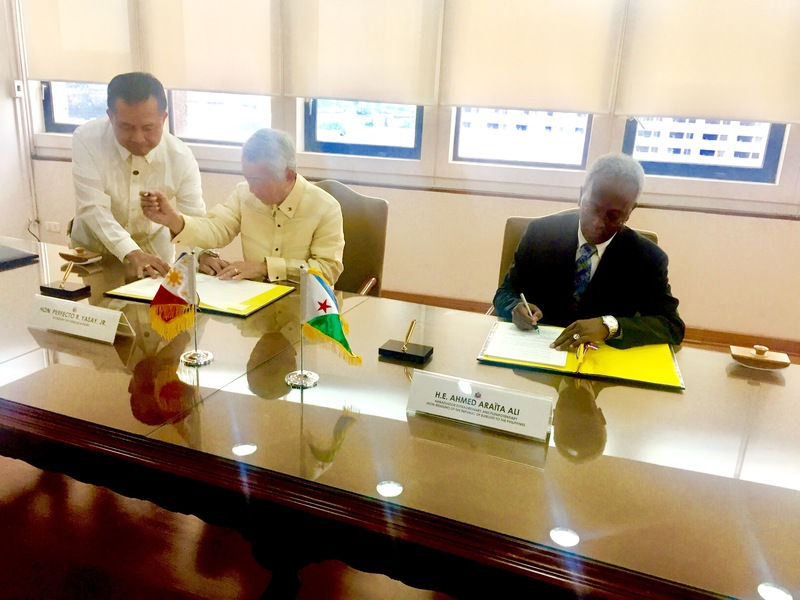 Mr. Ahmed Araita Ali, Ambassador of the Republic of Djibouti and Mr. Claro S. Cristobal, Director General of Foreign Service Institute of the Republic of the Philippines signed a Memorandum of Understanding between the Institute for Diplomatic Studies of Djibouti and the Foreign Service Institute of the Republic of the Philippines. The Memorandum of Understanding will make it possible to establish a greater mutual knowledge and to develop various initiatives in particular by training programs in public diplomacy. 1. On the 29th of January 2009, H.E. 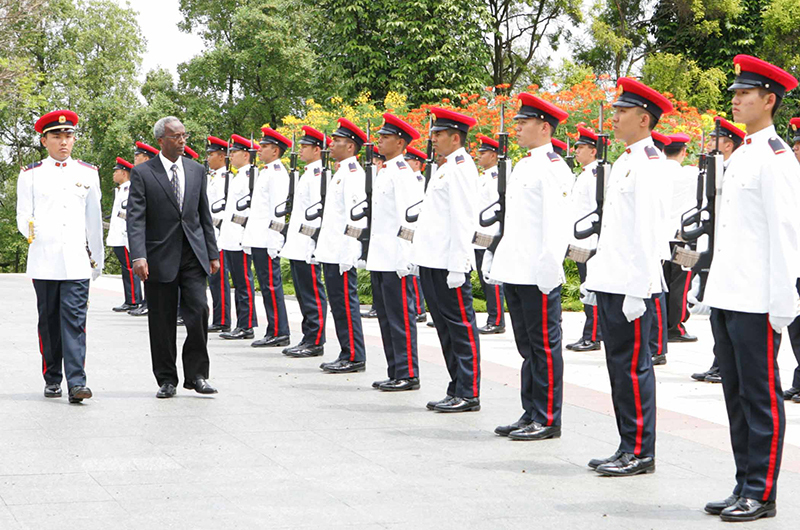 Mr. Ahmed Araita Ali, Ambassador Extraordinary and Plenipotentiary of the Republic of Djibouti non-resident to Singapore presented the Letters of Credence to President H.E. Mr. S.R. Nathan. 2. H.E. Mr. 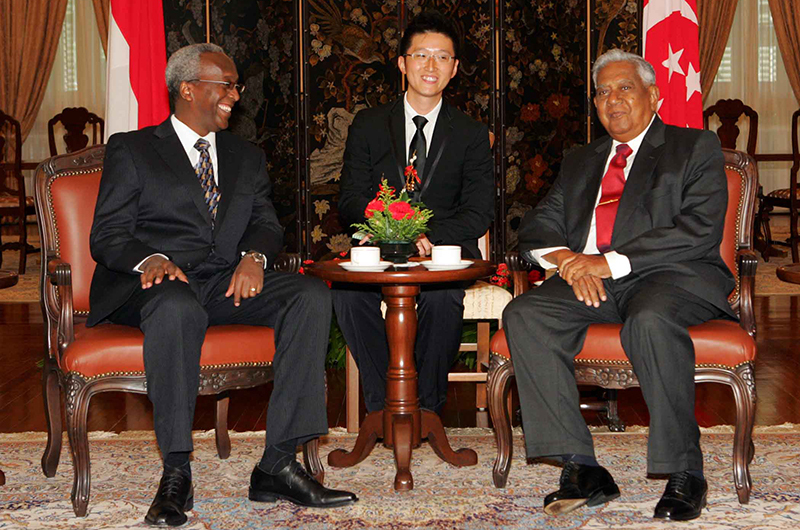 Ambassador Ahmed Araita Ali with HE Mr. Tony Tan Keng Yam, President of the Republic of Singapore at the annual invitation issued by the Ministry of Foreign Affairs of Singapore. On the 7th of January 2010, H.E. Mr. Ahmed Araita Ali, Ambassador Extraordinary and Plenipotentiary of the Republic of Djibouti non-resident to Thailand presented the Letters of Credence to His Royal Highness Crown Prince Maha Vajiralongkorn. On the 6th of March 2014, H.E. 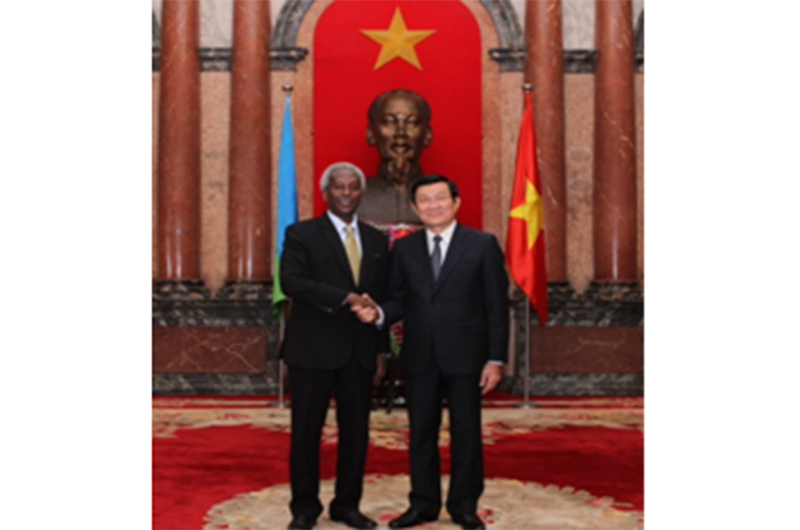 Mr. Ahmed Araita Ali, Ambassador Extraordinary and Plenipotentiary of the Republic of Djibouti non-resident to Viêt Nam presented the Letters of Credence to President H.E. Mr. Trương Tấn Sang.